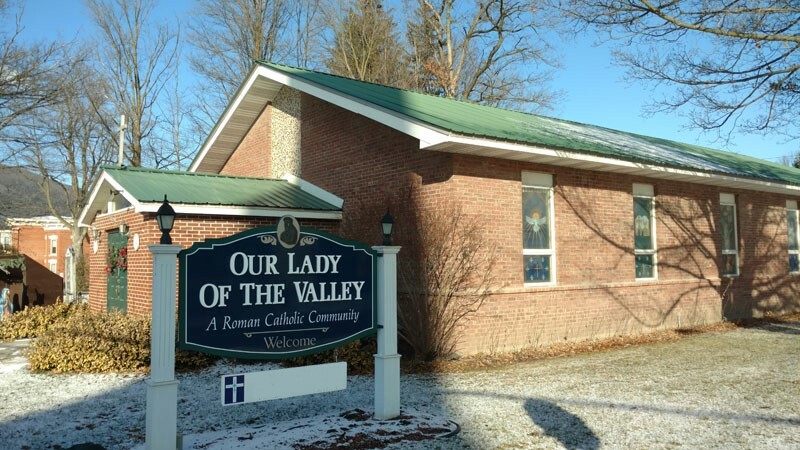 Our Lady of the Valley Roman Catholic Community is committed to living out the Gospel message of Jesus Christ. Guided by the Holy Spirit, we seek to bear Christian witness as a loving, prayerful, and caring community of worship, shared faith, and service to all God's people. We are dedicated to providing opportunity for healing and growth and to invite each individual to place their gifts and talents in service of one another within the parish family, our diocese, and the larger community."